According to officials, most of the dead suffocated in thick toxic smoke after the man set fire to casino tables. 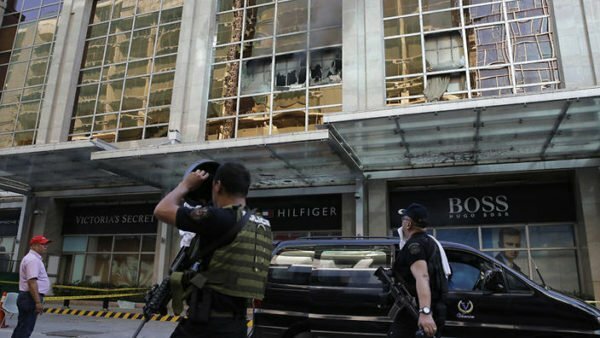 The attacker, whose nationality is not yet known, began shooting in the casino in Resorts World Manila in the early hours on June 2. Police said the gunman later killed himself by setting himself on fire. Authorities initially said there were no casualties, but appear to have only found the bodies while sweeping the complex after the gunman’s body was recovered. Officials insisted that the incident was a robbery attempt, and was not terrorism-related despite a claim by ISIS. ISIS, which posted the claim on June 2 via the messaging app Telegram, offered no further details. The gunman, who has yet to be named, entered the casino shortly after midnight and began firing an assault rifle, sparking widespread panic. He also set gaming tables on fire and filled a backpack with gambling chips worth 113 million Philippine pesos ($2.3 million). The gunman later fled to the hotel section of the complex, leaving behind the backpack, and entered a hotel room. The shooting sparked a security lockdown and a manhunt in the complex, which ended when the gunman’s body was found. Resorts World Manila said in a statement that the man also shot himself after setting himself on fire, and that he was found dead around 07:00 local time. Police released CCTV images of the man, showing him dressed in black and carrying his rifle. There has been some speculation on the part of local media and some officials that the gunman could have been a foreigner on the basis that he spoke English well. Early reports said he appeared to resemble a Caucasian. Authorities have also told reporters that the man appeared to be “mentally disturbed”. Resorts World Manila has called the casino shooting a “cowardly act of a deranged mind”. Police say the gunman was acting alone, unconnected to any Islamist group. Over the last week militants allied to ISIS have been engaged in street battles in the far south of the Philippines. Police said the suspect poured petrol over the furniture and rugs, causing them to catch fire immediately. Although the fire was not large, thick smoke caused the deaths. Those who escaped the casino have said they saw smoke filling the complex. Resorts World Manila chief operating officer Stephen Reilly has told reporters that fire safety equipment worked, and that there was “proper ventilation”. More than 50 people have been sent to a hospital to be treated for injuries, including fractures.